UniFirst is one of North America's largest workwear and textile service companies, providing managed uniform, protective clothing, and custom corporate image apparel programs to businesses in diverse industries. In addition to outfitting nearly 2 million workers in clean uniforms each workday, we also have a hand in keeping their businesses clean, safe, and healthy through our Facility Service programs… allowing us to be a single-source solution for a variety of needs. 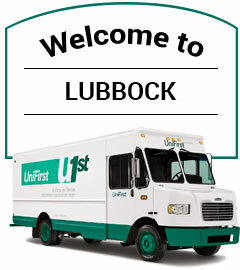 UniFirst delivers uniforms and facility service products to customers throughout the United States, Canada, and Europe. We built our Company from the ground up based on our founding Core Values (which remain in place today): a customer Focus, a Respect for Others, and a Commitment to Quality. Serving local business customers via 250 service centers throughout the United States, Canada, and Europe, our flexible Rental, Lease, and Purchase programs are accessible, scalable, and economical. Whether your organization is national, regional, or local in scope, you'll always receive the highest quality products and services as a UniFirst customer. Our mission is to be recognized as the leading provider of quality Uniform and Facility Service programs. We guarantee Total Customer Satisfaction. Our continuous customer focus enables us to grow, to provide an equitable return on investment, and to create ongoing career opportunities for our employees. We are committed to conducting our business in a fair, honest, and responsible manner in accordance with all environmental and government regulations.